Backpacking through Europe is by no means some original idea that my husband and I dreamed up, but I've still gotten a surprising number of questions about how, exactly, we managed to pack for a month in just a backpack a person. I did a ton of research on the packs themselves, and we ended up opting for LLBean's Quickload Travel Packs: they meet most carry-on requirements, and they unzip like regular suitcases, rather than loading from the top, which made them easier to unpack and repack at each of our seven (turned into eight) destinations. 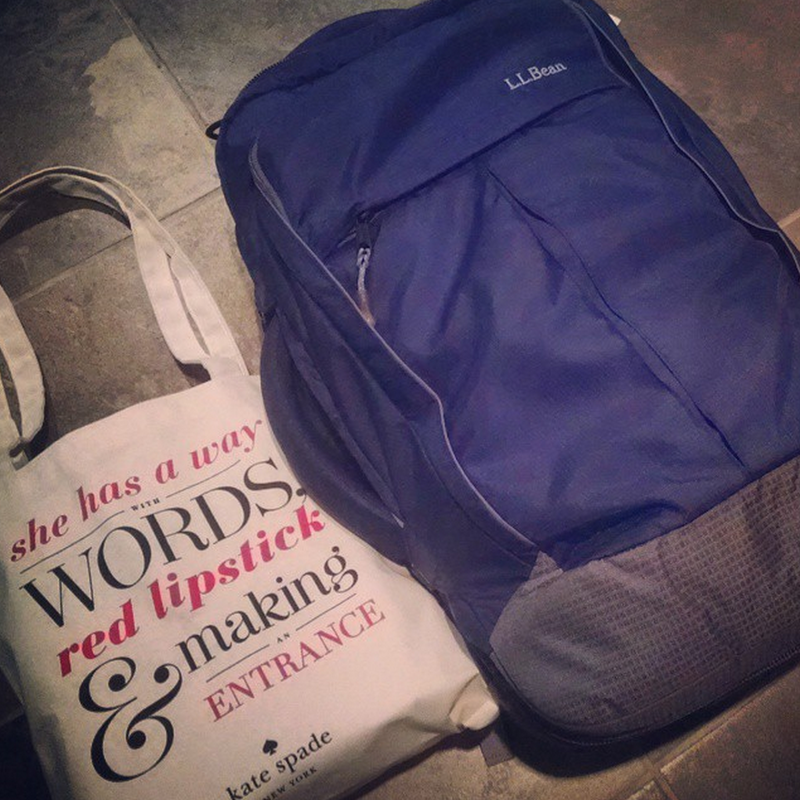 I also perused blogs and posts from others who had done similar, adapting their packing lists for my destinations, weather, and planned activities (I didn't, for example, pack any nightclub clothes, which I don't own anyway). I wore every single item in my suitcase at least once, if not multiple times. We packed dehydrated "sheets" of laundry detergent, and washed our clothes in the shower/sink of each apartment we stayed in (though one or two did have a washing machine, not a single one had a dryer). Lesson learned: Wash your clothes on arrival at each location, so they can drip-dry and (hopefully) be dry by the time you pack and leave. Never underestimate how long it takes something to dry when you lack a dryer's oh-so-handy spin cycle. Because our backpacks don't have many compartments, we used these amazing eBags packing cubes to roll our clothes, which served the dual purpose of keeping our clothes compact enough to fit in our cases and tidy enough not to make us crazy with unpacking and re-packing. We bought bars of soap (or hoarded hotel mini-soap) along the way, and re-stocked if/when we ran out of things (toothpaste, mainly). I wish I brought a real hairbrush, but since no place we stayed had a working hairdryer, the hair went in a bun almost every day anyway, and brushing it was the least of my concerns. Door-stop alarm: the concept here is a doorstop that sets off an alarm if, say, anyone tries to open the door and hits the door wedge. While a good idea in theory, we a) never felt unsafe in any of our AirBnB rentals (or stop-gap hotels), and b) the device stopped working round about day 3. So we trashed it. Waste of money and luggage space. Four Lonely Planet pocket-size travel guides: Barcelona, Rome, Edinburgh, and Paris. There weren't pocket-guides available for our other destinations (Dublin/Ireland, Marseille, Milan), and these ended up being pretty useless anyway, though I suppose they make nice mementos, and the maps were occasionally helpful. Smartphone: though the phone part didn't work in Europe at all (I kept it on airplane mode), WiFi hotspots were surprisingly plentiful (even Versailles is online), so I kept my phone on hand to snap quick pictures, load previously saved maps, and look up directions/destinations as possible. We also invested in Skype credit to call home a few times and assure our respective parents that yes, we were still alive and well. A money belt: I only wore this in Barcelona, a city unfortunately notorious for its pickpockets, but was glad to have it just to put my mind at ease while we were there. I have always been a panic-packer, overpacking and then some, throwing last-minute items in left and right before I close my suitcase. This required serious packing discipline, and hopefully will carry over to other trips in the future. What's the longest you've gone living out of a suitcase? How did you prepare? Thank you for this! I'm dreaming of a big trip to Europe in the next year or two, and this is really helpful. Can I ask, did you fly with Easyjet and/or RyanAir using your backpack as a carry-on? Thanks for sharing this! It looks like you mastered minimal packing. My biggest packing challenge was for studying abroad during college, since I had to pack everything I'd need for four months in London in one large checked suitcase and one carry-on suitcase. I used quite a few vacuum bags. The longest time I've lived out of a suitcase is 11 weeks, but I was in the same country the entire time so I only had the flights there and back to worry about, and I had two large duffel bags (one with wheels), a backpack and a carry-on size suitcase. I'm definitely also a panic-packer and always overpack. PS. I'm very impressed with your packing discipline for this trip! 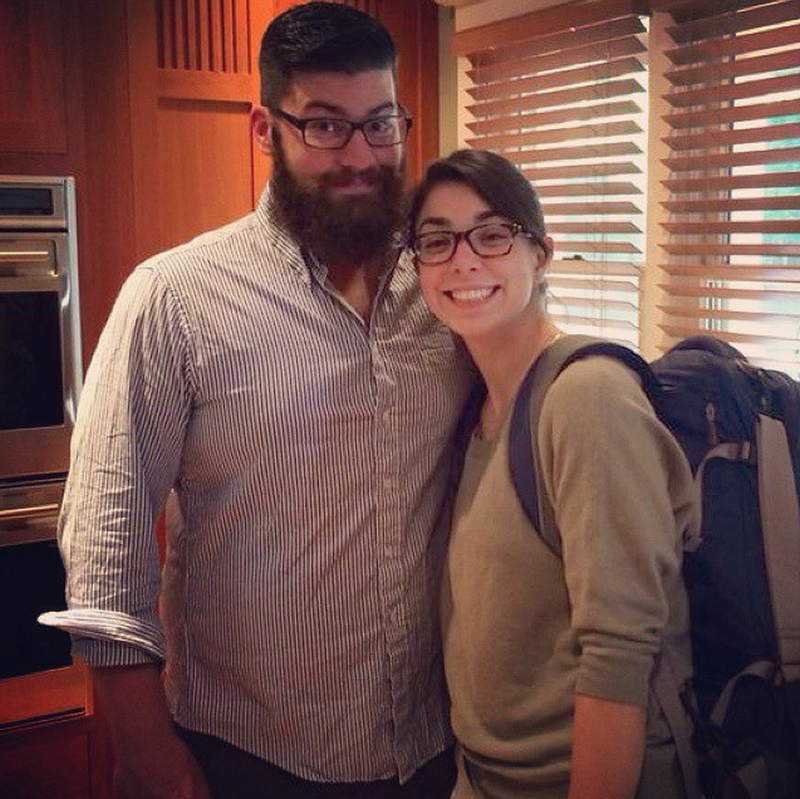 I am so glad you posted this because I wouldn't have had a clue what goes into packing for a trip like this. SO COOL. I've never gone longer than three weeks living out of a suitcase, and it was slightly-bigger-than-carryon size, but it also had several books in it, too. And those three weeks of mine were all in one steady climate zone, so I'm *totally* impressed with your packing! I'd done two and a half weeks for one destination before, but underestimated how much harder it would be to pick things for multiple climates! Haha, thanks! I hadn't given it much thought before we booked this trip... then I had major panic moments where I realized I didn't even know where to start. Luckily, it came out ok in the end. I *always* overpack. Trying to teach myself not to! I studied abroad, too, but for some reason (probably because I did/could take more suitcases and wasn't traveling a lot once I got there?) it didn't feel as daunting. I guess I also owned waaaay less stuff in college, which made deciding what to take easier. Ha. I hope it helps! Yes, we flew Easyjet and RyanAir (and Vueling). I carried my bag on both EasyJet and RyanAir with no issue. Important to note though that my pack was not full to the brim, so I could clinch everything down with the interior and exterior straps, and it fit into the carry-on measure box things at the airport (my husband's pack was more full, though, and didn't *technically* fit, but we tried to check it for our first Ryanair flight and they told us not to!). Easyjet is really strict about the one suitcase per person rule, so I squeezed a ton of stuff into my coat pockets, wore my coat, and stuffed my camera case into my backpack. We didn't even try on Vueling, just checked the bags, because it was only 12Euro/bag and it was our last flight of the trip, and we were quite frankly just tired of carrying the bags around! Black and white are the secret to packing for a trip like this. A couple of flashes of color here and there are ok, but black and white are the way to go. The last time I did Europe it was for a month and a half out of one big backpack. Like you said, it's tricky but doable. I love this post for the detailed break down of items. One thing I've learned with packing is that it's so valuable to choose items that can be mixed and matched with everything else you pack. I'm also awful at trying to throw extra items in when I'm "done" packing. Yes! Tricky but doable indeed. It felt so overwhelming when I first started, but in the end, I had pretty much exactly what I needed (and bought an extra tank top in Rome when it was 95 degrees, and a scarf in Scotland when it was cold). The extra items usually kill me, so I zipped my bag and hid it from myself before we left, ha! Thank you for addressing the Laundry question! That was my biggest hang-up. I know that packing for a trip like this requires major organization, and I wondered how easy you would find it to do laundry where you stayed. Of course! I hope it's helpful and I can't wait to hear all about what you end up doing. 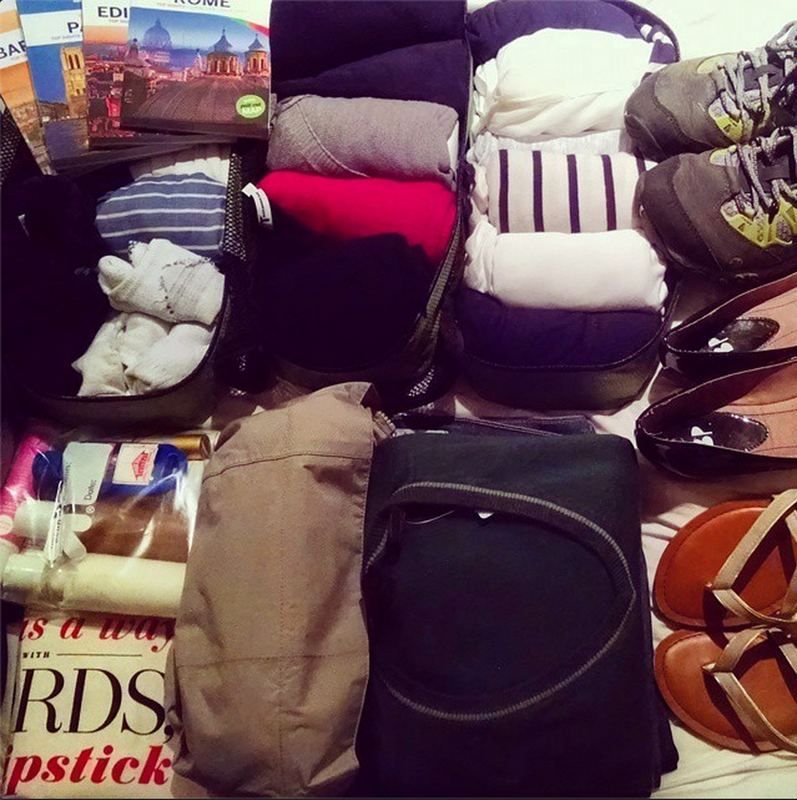 I (finally) just posted on my packing tips!